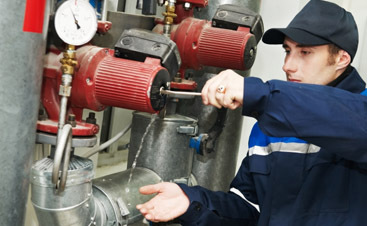 Valley Mechanical provides Commercial HVAC service to the San Jose area including maintenance, repair and installation. We understand the importance of a comfortable working environment. If your employees are not happy with the temperature it the office their productivity will fall and that will result in unsatisfied customers and really, it affects the bottom line. It is better to keep the temperature in your office where it should be, but where should it be and why does it affect people so much? Temperature is a key element in office ergonomics. Some studies say the optimal temperature for the office is between 70 and 73 degrees. The further away from 71 degrees the office is, either colder or warmer, productivity drops. The season effects people experience of temperature. People are more comfortable with colder temperature in the winter and warmer temperatures in the summer. Clothes affect people’s perception of office temperature. People are used to wearing sweaters in the winter and sandals in the summer and want to be comfortable. Humidity. Never underestimate the ability of humidity to make a perfect temperature feel too cold or too warm. Location matters of course if you sit directly under the air vent you are going to be more chilly than the person who sits directly in the sun out of the air flow. 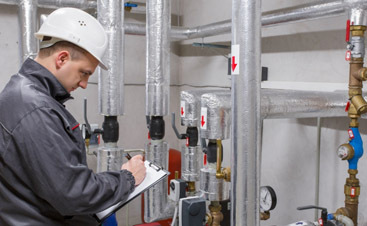 So we can see that even researchers don’t agree on the topic but we can all agree that when the heating and cooling system is not functioning well it can cost your time in dealing with unhappy employees and money in heating bills. 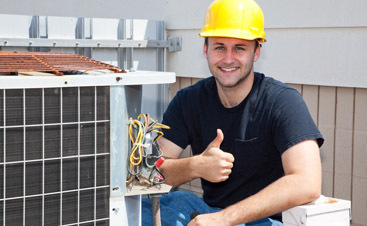 Call Valley Mechanical and we’ll make sure your HVAC system is working at it’s best and we’ll make sure your building is sealed well so you are not paying to heat and cool the Bay Area.